If you own a website and are eager to succeed in building an online presence it’s crucial to understand your traffic statistics. What are visitors doing when they visit? How do they enter you’re site, how long are they staying and where do they go when they leave? All these questions can be answered by using the free program Google Analytics. Discover many different articles covering how to start using Google Analytics, information about its features, and tips and tricks for Google Analytics to improve your web site’s traffic. 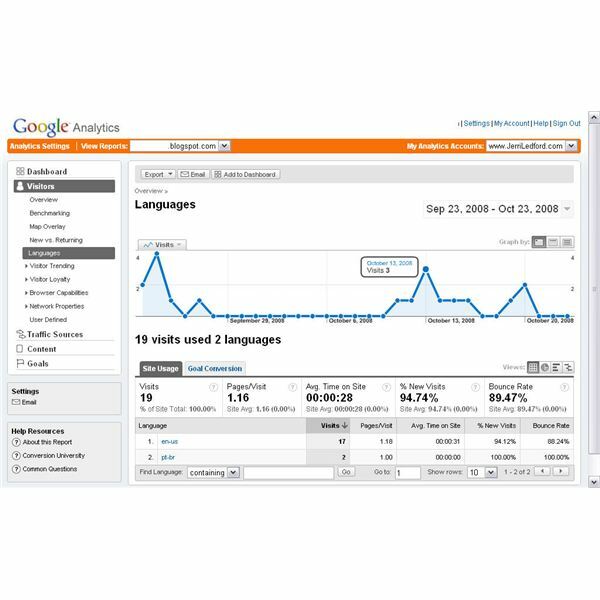 Thinking about using Google Analytics? First read up on how to get started with Analytics which covers the initial registration, and tells you what information you’ll need to open a Google Analytics account. 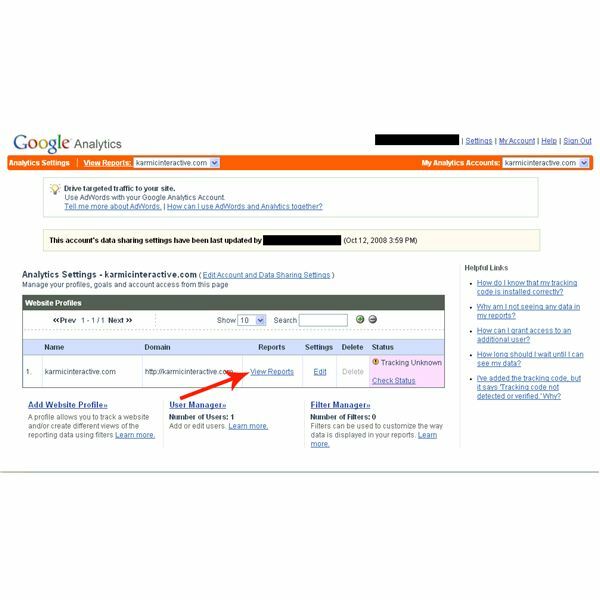 Already using Google Analytics? Then maybe you wish you had more control over what is tracked and reported to you. With Analytics, you can learn how to use Analytics’ User Defined options that can be setup with a quick line of code. Find out where all your traffic is coming from, in one report. This report will help you compare the ways in which your website gains traffic, so you may make adjustments where you see necessary to aid your site growth. 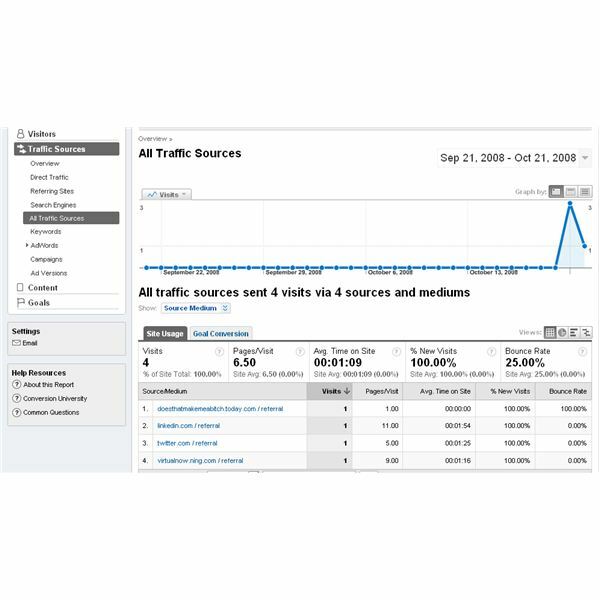 Learn More About Your Website Traffic Statistics with Google Analytics. Want to learn more about where your visitors are coming from? This is where the Traffic Sources section of Google Analytics comes from. In the first article of this series, we provide an overview of all the reports before we delve into each one. Learn how to better accommodate your Users with Google Analytics Browser Capabilities Report. 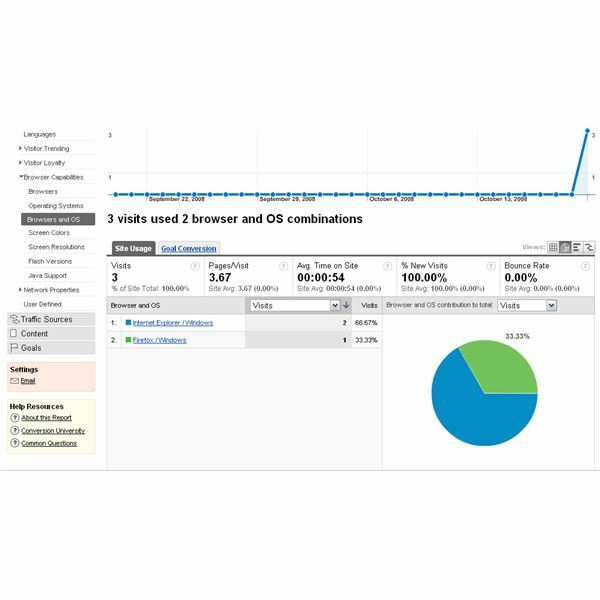 If you are not sure about that flash video on your site, you can use the Browser Capabilities Report in Google Analytics to tell you more about the flash version that your users have installed on their systems. This way, everyone can use your site with no problem. Read on to find out more! 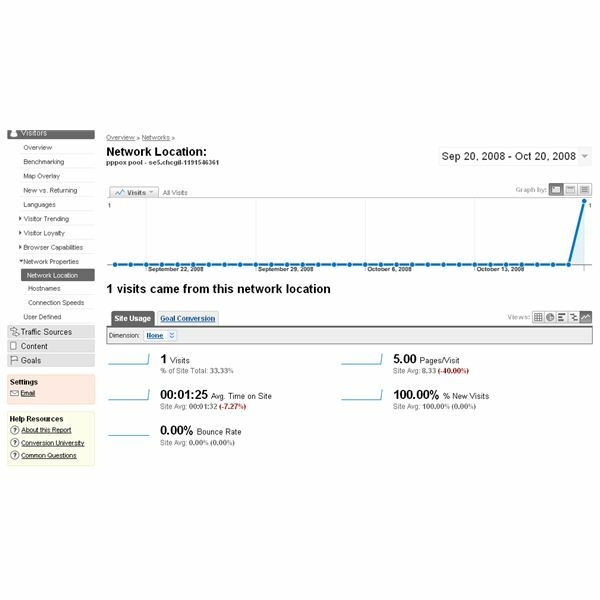 Find out whether or not your visitors are loyal with Google Analytics Visitor Loyalty Reports. 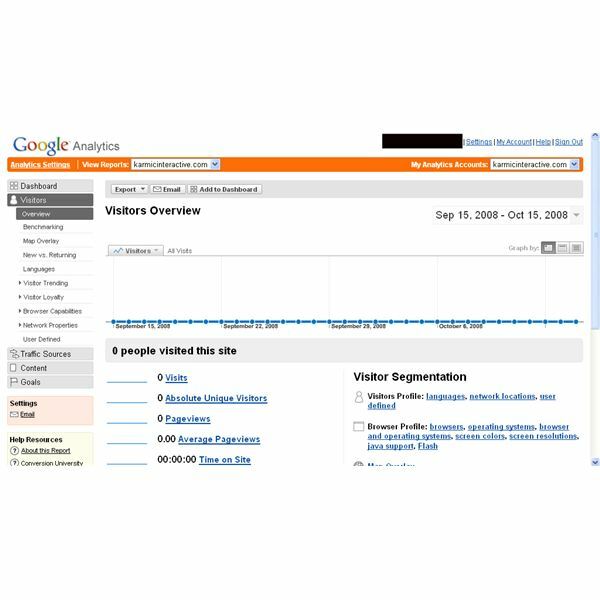 Learn about how often your visitors come to your site, and use it with the Google Analytics Visitor Loyalty report. You’ll be able to see information about your viewers’ visits with a bit more detail. This will help you make better informed decisions about any changes to your site. With all the good stuff you’ve learned about your visitors through this series, how could you need something else? Well, we all do, and that’s why Google has a report for you called “User Defined” which means you control the information you track in that report. Sounds great, right? Keep reading! 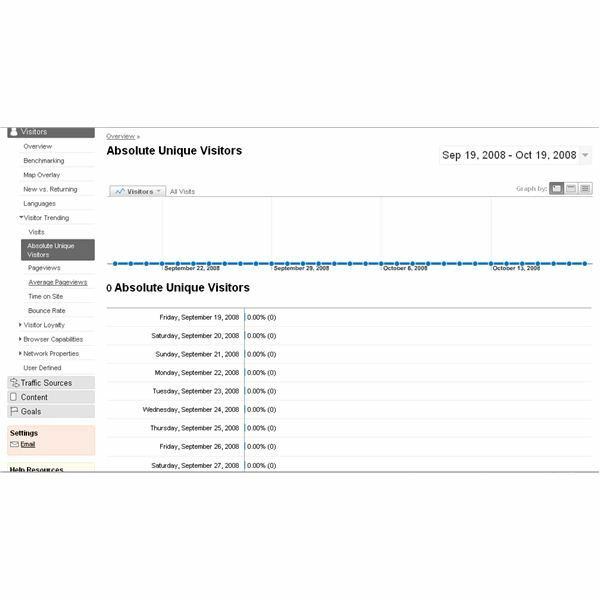 Take a look at different aspects of your users and compare them over time with the Visitor Trending Report. Use the information to help you make informed decisions about how to improve your website. Learn more about it by reading this article. Learn More About Your Visitors with Google Network Properties. Network Properties will help you learn about your target audience’s Internet connection in three different aspects. Knowing this information will help you determine the content load and media types that your site can handle while still serving your audience as well. Keep reading to find out more. Learn how the Map Overlay in Google Analytics helps your Web site and your business. Learn about what the Map Overlay feature is and what it offers you in order to help your Web site better reach its goals. As if it couldn’t get any better, Google Analytics is able to offer you information about the language your site is being viewed in! Great, right? Well, yes for some, but keep reading to find out more about the report and why or why not it may help you. 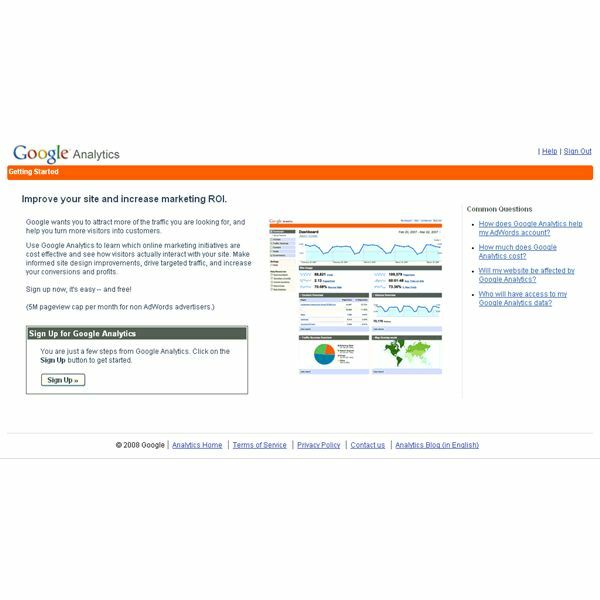 Compare your site to others in your industry with Google Analytics and the Benchmarking Report. Use it to help you decide what site changes to make, when to run specials, and more. 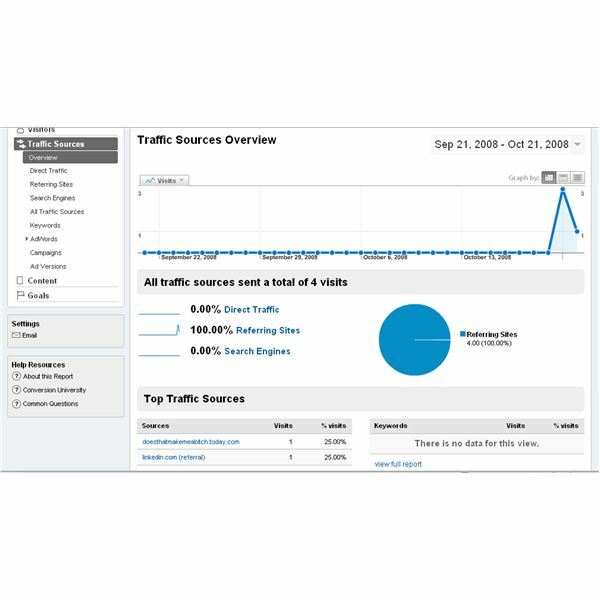 Learn more about your visitors with the Google Analytics New vs. Returning Report. 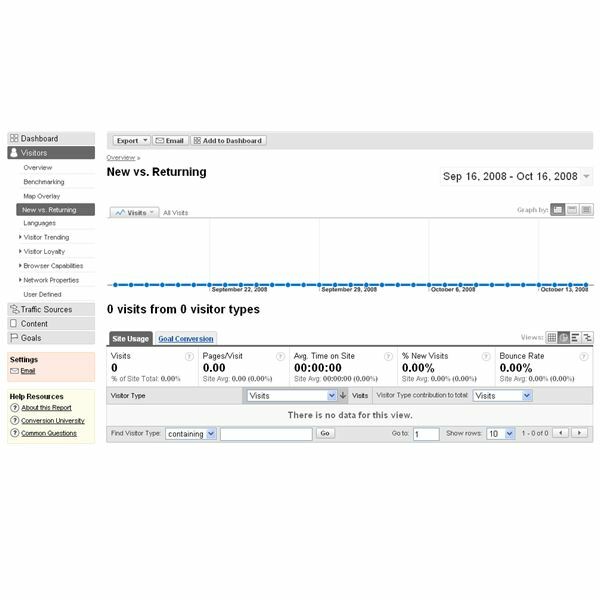 Want to be able to see a comparison of new visitors to your site against ones who return? Then you need the New Vs. Returning Report. You will be able to use this data to better adjust your site and its advertising to suite your audience with greater precision. Using Google Analytics can be a very personalized experience, and it should be as your Web site is personalized to you or your business. Let’s talk about customizing the Dashboard in Google Analytics and how it will help you. Need to know what’s going on with your Web site? Want to find out more about visitors and your ad campaigns so you can make it better? Then Google Analytics is your solution. Take a look at this to see how to get started using the program.